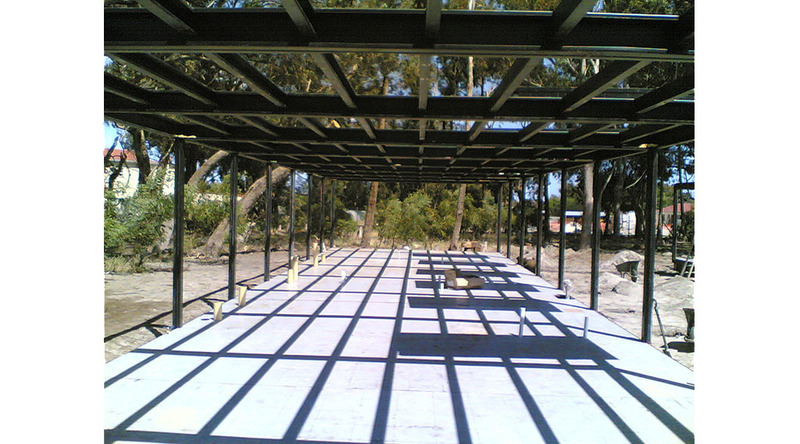 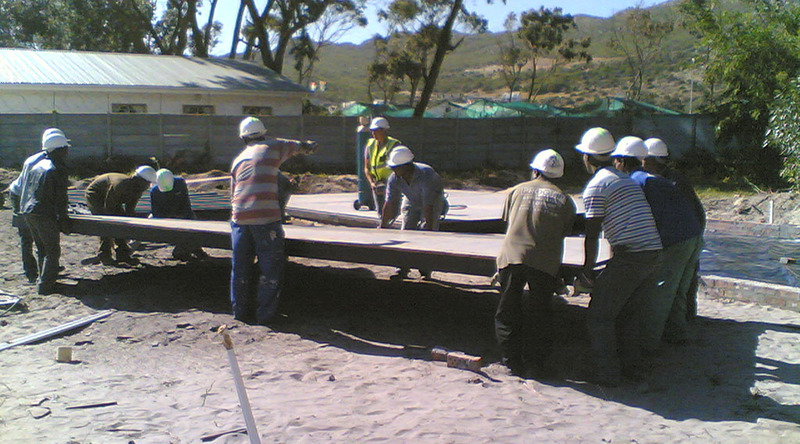 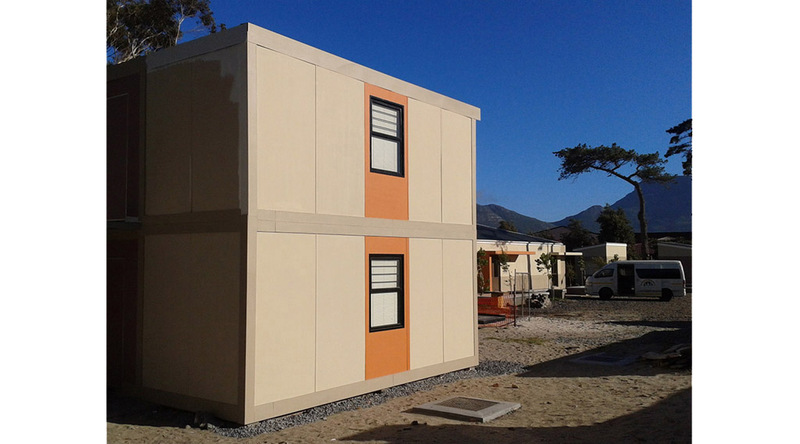 The Desmond Tutu HIV Foundation (DTHF) purchased a second hand, two storey, long, steel frame and infill panel, modular building that had been used at the Port Elizabeth stadium during the 2010 FIFA World Cup. 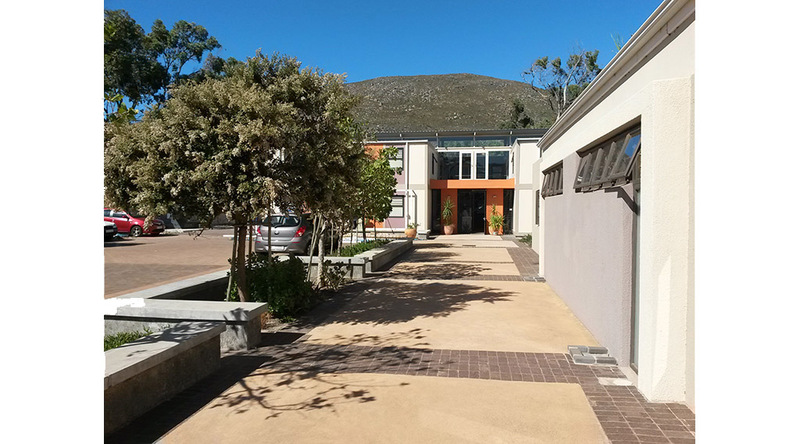 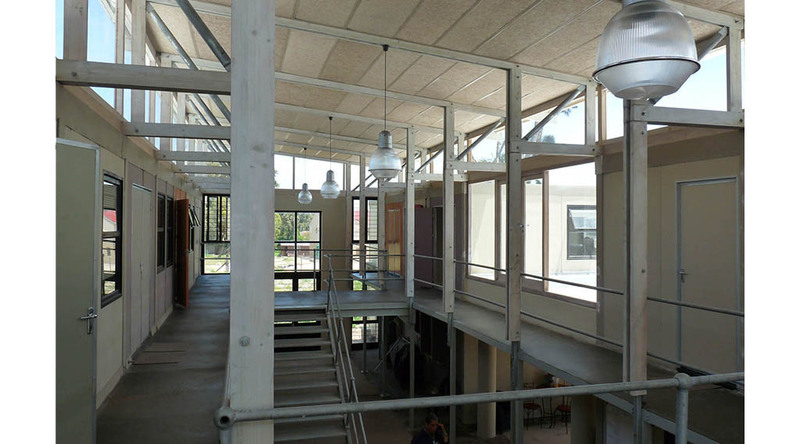 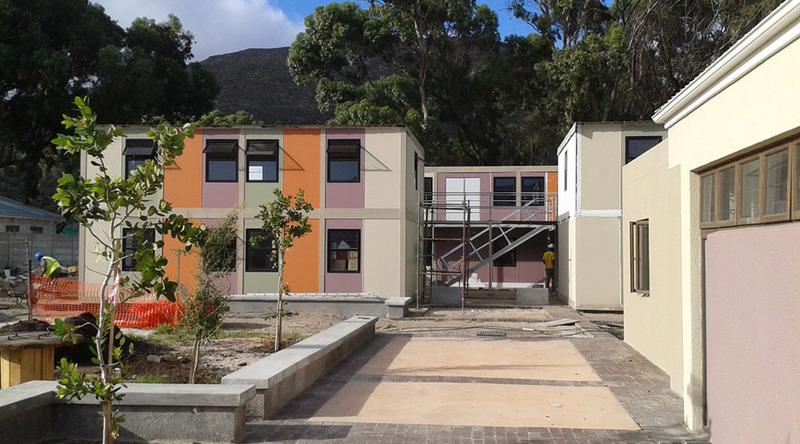 The brief was to re-use the building on the same site as the previously completed Desmond Tutu HIV Foundation Youth Centre in the Sunnydale Masiphumelele area, as research offices for the DTHF. 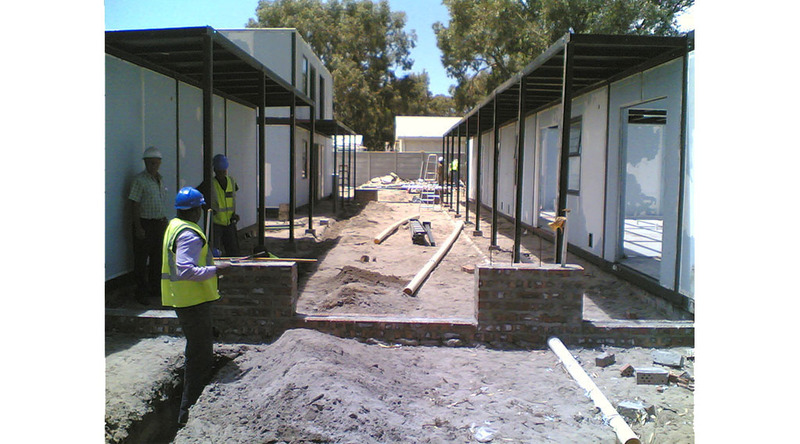 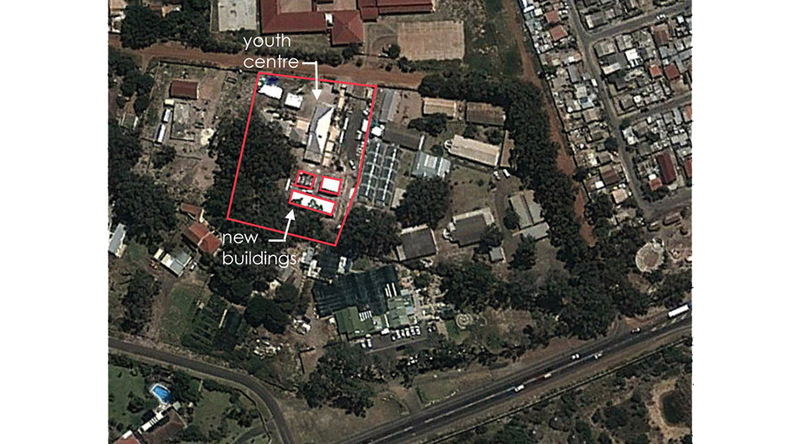 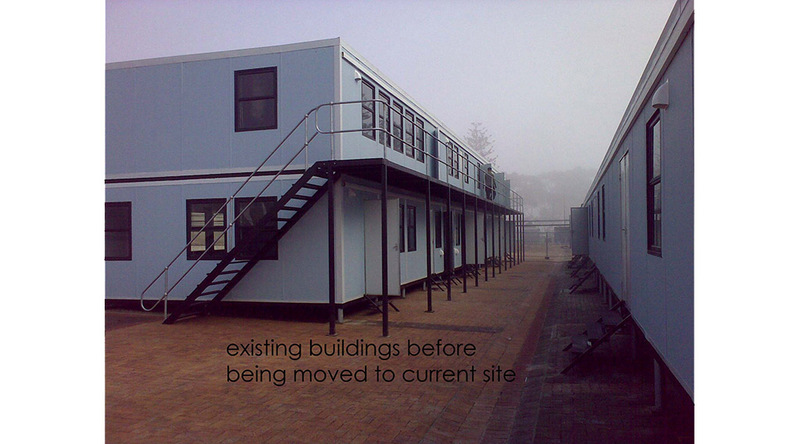 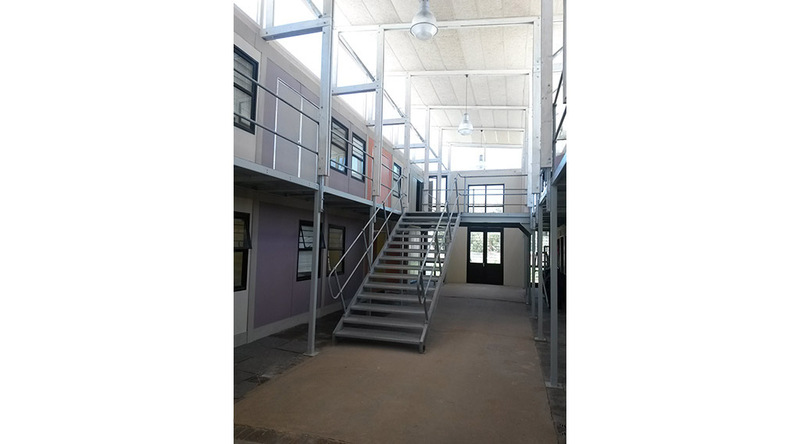 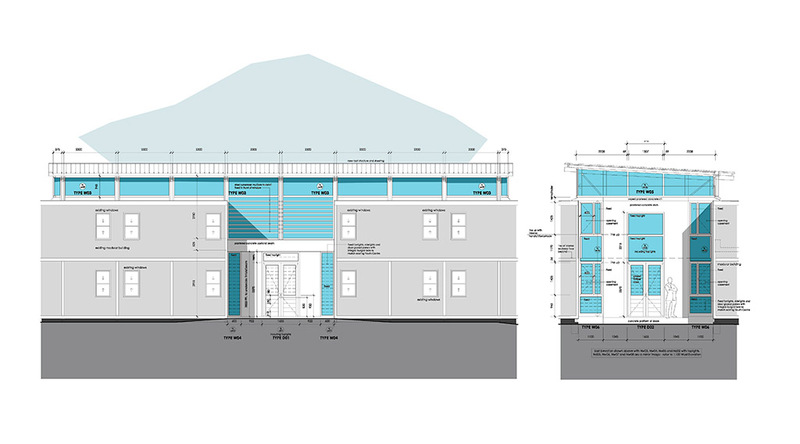 The modular building was a continuous forty-three metre long building. 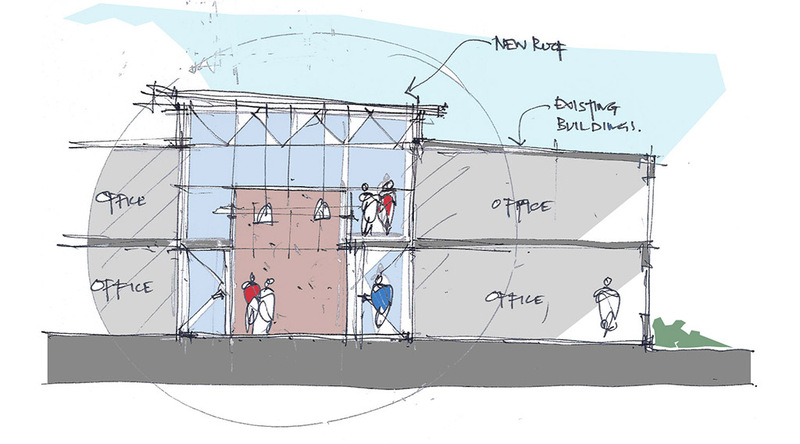 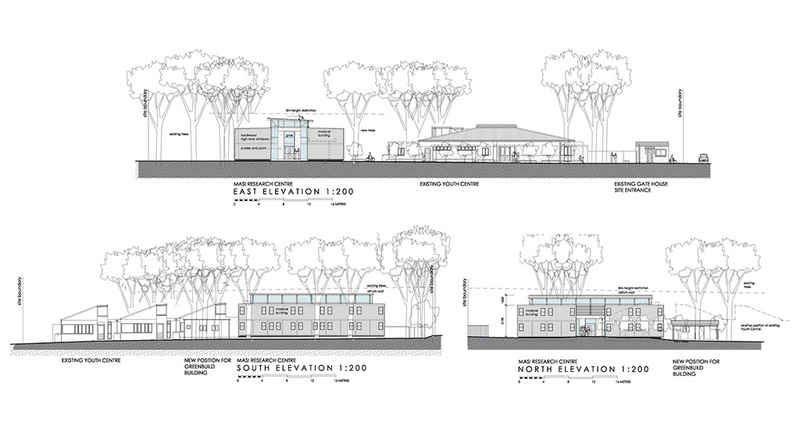 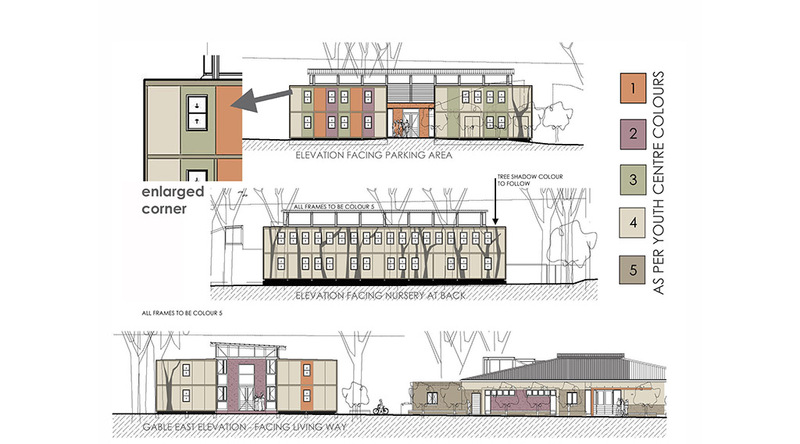 We proposed to break the building into three stand-alone buildings, with one of the buildings longer than the other two. 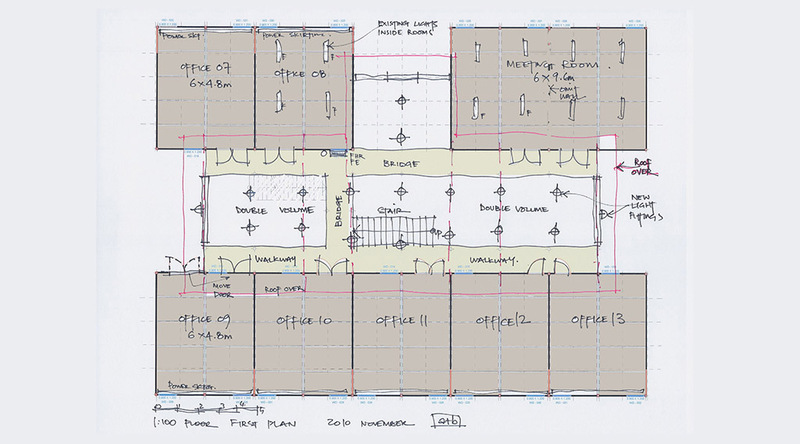 We turned the buildings in on each other and proposed a raised roof over the space between the buildings, creating a central foyer space which could also function as a venue for events. 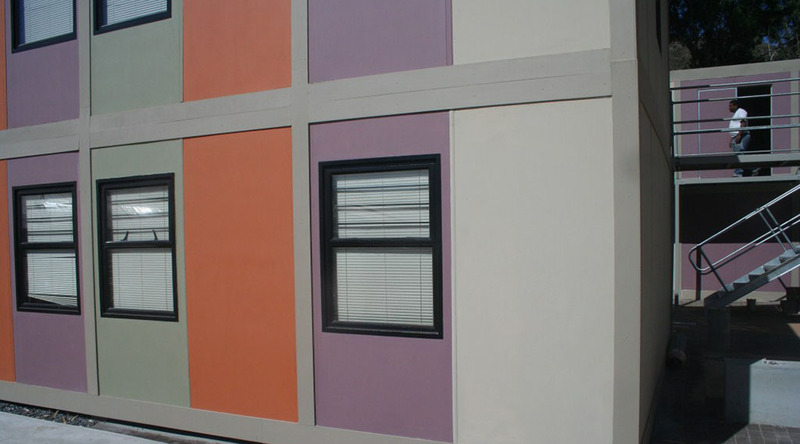 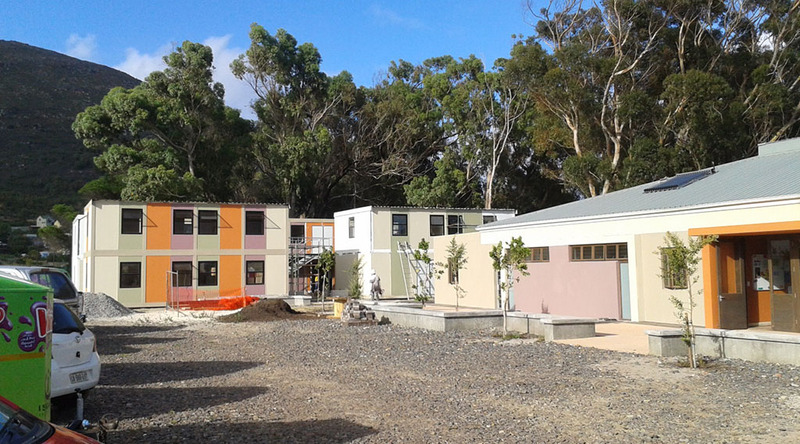 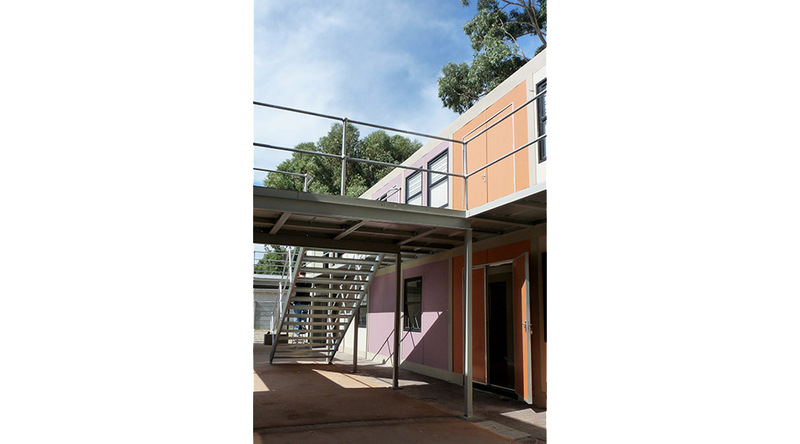 The modular building panels have been painted in the same colours as the Youth Centre, to make the two buildings look as if they are part of the same complex. 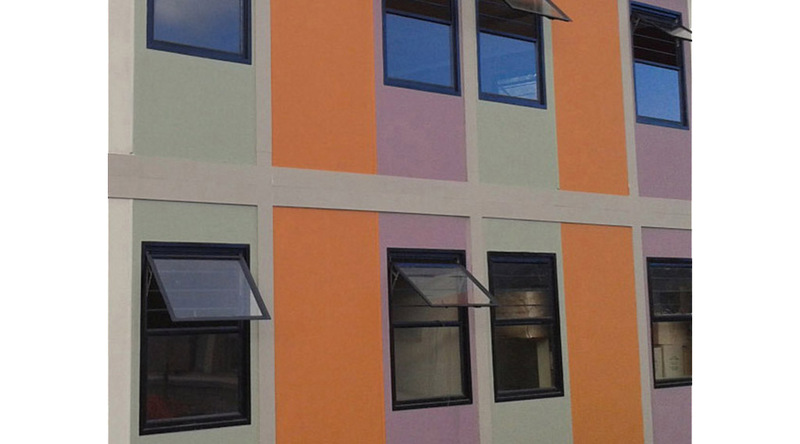 Bright colours have been used on the elevation facing the arrival point, as a sign post. 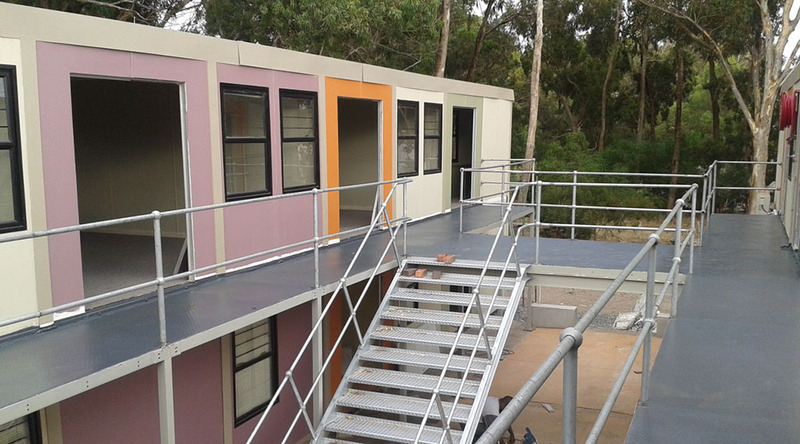 The elevations facing the trees have been painted in neutral, natural colours, to blend in with the treed side of the site. 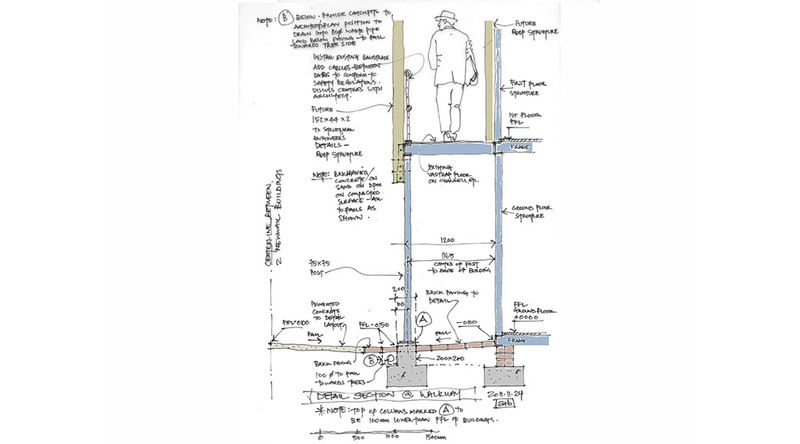 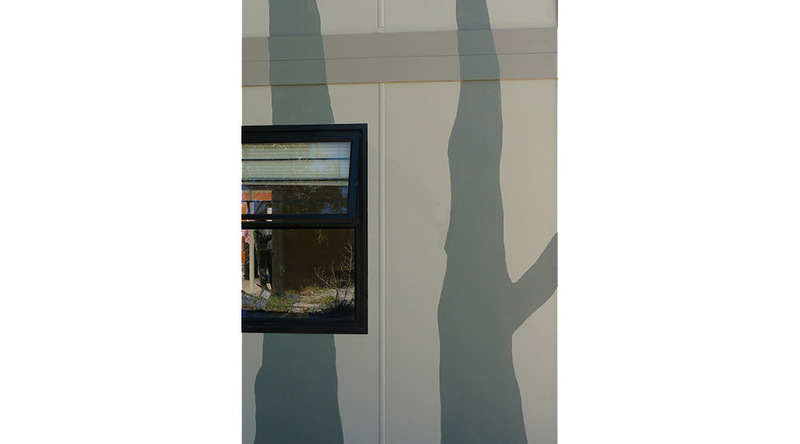 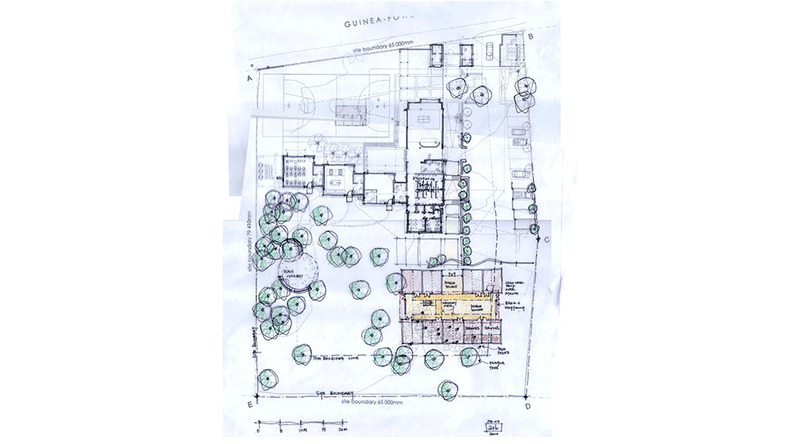 Tree shadows have also been painted on these elevations to visually break down the length of the building and also help the double storey block blend within the trees. 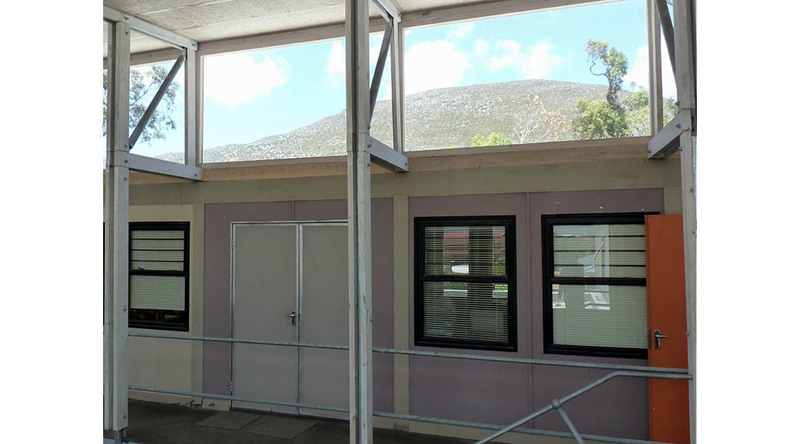 The roof over the space between buildings has been left off due to a shortage of funds and will be built when funding becomes available.